As Democratic voters moved to retake the House of Representatives and key gubernatorial seats, a series of local architecture-, urbanism-, and climate-related initiatives saw mixed results in western states. Aside from being a referendum on the divisive governance style of President Donald Trump, the midterm election brought with it fierce debates over contentious issues like expanding rent control and funding supportive housing in California, taxing carbon emissions in Washington State, and boosting renewable energy generation in Arizona and Nevada. Here’s a state-by-state breakdown of some of the major initiatives and their outcomes. Arizona: Proposition 127: An initiative to require electric utilities to use renewable energy for 50 percent of their power generation by 2035 failed in the state. The battle over Proposition 127 saw the highest amount of political spending in the state this year, with the state’s main electrical utility, Arizona Public Service, pouring over $30.3 million into a political action committee dedicated to fighting the measure. 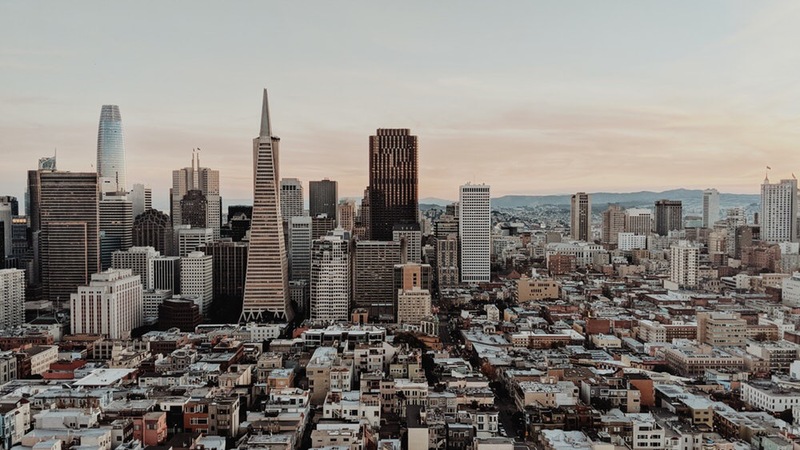 California: Proposition C: San Francisco’s supportive housing ordinance was overwhelmingly supported by the city’s voters. The initiative will raise $300 million per year for supportive housing and services from a modest tax levied on companies in the city that gross over $50 million annually in revenue. The measure is similar to the so-called “head tax” in Seattle that was passed and quickly repealed earlier this year. Proposition 1: An initiative to approve $4 billion in “housing-related programs, loans, grants, and projects and housing loans for veterans” in the state gained wide approval. Proposition 2: An initiative to dedicate $2 billion from the state’s 2004 “millionaire’s tax” toward providing “homelessness prevention housing for persons in need of mental health services“ was approved. Proposition 4: An initiative authorizing $1.5 billion in bonds for the “construction, expansion, renovation, and equipping of children's hospitals in California” was approved. Proposition 6: Voters in the state defeated a Republican-led effort to repeal a recently-passed gas tax increase. The recent increase is helping to fund bridge and road repairs while also providing new—and much-needed—mass transit funding for the state’s growing public transportation systems. Proposition 10: A state-wide effort to repeal the controversial Costa-Hawkins law that limits how municipalities can institute rent control was soundly defeated. Rather than instituting rent control statewide, the measure would have allowed municipalities the flexibility to set their own policies. Tenants’ rights and anti-displacement advocates saw the effort as providing a lifeline for their constituencies; ultimately, the $76 million raised by real estate and Wall Street interests against the measure was too much for grassroots voters to overcome. Colorado: Proposition 112: Voters in the Centennial State chose to reject a ballot initiative that would have increased oil and gas drilling setbacks from homes, businesses, and waterways. Resistance to the measure was no match for heavy spending by the Colorado Oil and Gas Association, the proposition’s main opponent. With controversial hydraulic fracturing rising to new highs in the state and an increasingly bleak outlook for climate change-related disasters around the world, Colorado’s pro-environment movement has been dealt a powerful rebuke. Nevada: State Question No. 6: Voters in Nevada approved a measure that would require state utilities to generate 50 percent of their electricity from renewable sources by 2030. In order for the measure to become law, however, it will need to survive a second vote in 2020. Washington State: Measure 1631: Washington state residents largely rejected a measure that would have imposed a first-in-the-nation tax on carbon emissions. The initiative performed well in liberal King County—home to Seattle—but lost pretty much everywhere else in the state. Measure 940: Washington state residents approved a measure that would require law enforcement officials to receive “de-escalation” and mental health training as well as provide first aid under certain circumstances. The initiative would also require authorities to conduct an investigation after a deadly use of force by a member of law enforcement in order to verify that such force meets a “good faith” test. "How does a little building for decorative arts hold its own next to big icons?" asked Jim Olson, Partner at Olson Kundig. This was the challenge that the Seattle-based architects were tasked with when they took on a project to design a new space for Denver's Kirkland Museum of Fine & Decorative Art. 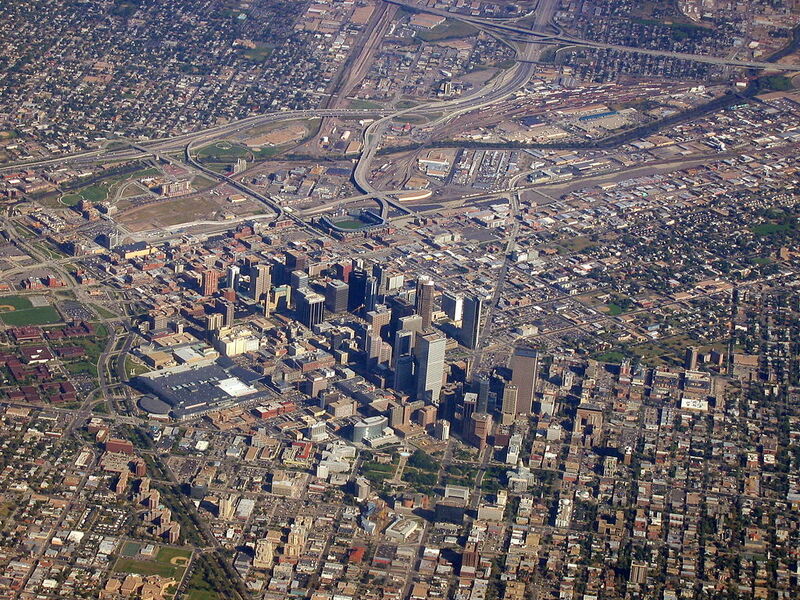 The project site sits in the shadows of two major civic projects from Daniel Libeskind and Michael Graves: the Denver Art Museum, and Denver Central Library respectively. Olson said that when starting the project, he had been experimenting with wood detailing in his personal cabin and looking at various combinations of glossy and matte finishes. This spirit of experimentation rubbed off on the Kirkland Museum, which brings together a variety of glazed terracotta baguettes and decorative glass backed with gold leaf. "While the layout and elevations of the building are calm and simple, the materials cladding the exterior are full of energy," wrote Olson in a letter to the museum explaining the vision. "At the entry, hand-crafted amber glass fins will further enliven the facade. My hope is that the building itself will be considered a ‘piece’ in the collection." The project started with a desire to create a controlled gallery-style lighting environment and a protective space for the art objects housed within the museum, with the building envelope assuming an opaque character. The architects pulled from a range of yellow and gold hues inspired by the environmental conditions of Denver, which receives three hundred days of sunshine per year, and "energizing" color palettes pulled from Vance Kirkland paintings. The facade is a relatively conventional rainscreen system composed of wall connections, girts, and clips from NBK Terracotta. The system was customized by the architects and collaborator John Lewis Glass, who developed custom decorative glass inserts. Introducing custom material into NBK's rainscreen assembly was a collaborative process, requiring coordination between suppliers, manufacturers, installers, and contractors. The facade's composition achieves a randomized effect through the deft manipulation of patterns. Two approximately four-foot-wide modules were first developed to achieve a seemingly random order. These units were distributed across the facade and overlaid with two additional patterning effects that were applied in a mirrored fashion. Ultimately this produced a variable arrangement across baguette widths, depths, heights, and colors to produce a dynamic texture. Bryan Berkas, an architect at Olson Kundig, said the compositional system provided a useful way to document and communicate the facade components for the shop drawing process, and for overall quality control. "We could look at the four foot, nine inch module closely to make sure we were getting an even distribution of color, [and] a range of joint lines to ensure there wasn't too much alignment." The facade is capped by large roof overhangs, producing deep soffits. 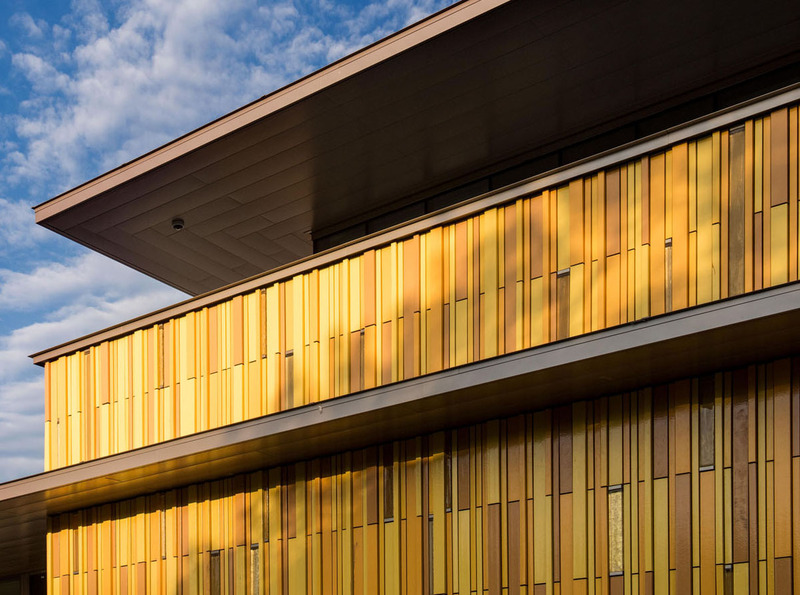 The soffits, almost always in shadow, are clad in deep bronze anodized metal panels that allow the roof to visually recede from the vibrant facade. The cladding is arranged in a unique herringbone pattern at the corners, developed by the metal panel manufacturer and installer through a series of mockups. A key feature in the project is a sculpture by artist Bob Vangold acquired by the museum during construction. The architects scanned the artwork and positioned the object onto the facade, bridging a continuous horizontal roof edge. The piece is anchored to the facade with base plates. Water collection and durability were carefully evaluated by the owner, structural engineer, and architect. "Terracotta hasn't necessarily been on the radar in our office, so learning about new facade materials has been a great outcome of this project. It's a very intriguing material," said Crystal Coleman, Associate at Olson Kundig. "For us, it's a very vibrant and durable material." New York firm Lewis.Tsurumaki.Lewis (LTL) has beaten Gluckman Tang and NADAAA to the commission for the Telluride Transfer Warehouse in Colorado. The practice will now lead the design for the new arts center in the former Victorian mining town in Colorado’s San Juan Mountains. Earlier this year, the "Telluride Transfer Warehouse Design Competition" attracted 30 firms, of which the aforementioned firms, from New York and Boston respectively, along with LTL, were named as finalists. The competition brief called for a historically sensitive proposal that respected the National Historic Landmark warehouse that was originally constructed in 1906. In its 111-year existence, the warehouse has suffered. Its roof collapsed in 1979, something which halted operations on site and from that point onwards the building has stood empty, becoming a well-known Telluride relic. LTL's design sees a timber structure nestled into the original sandstone walls. Without any roof, LTL's wooden form is able poke above the masonry to provide a rooftop terrace—one of three levels. 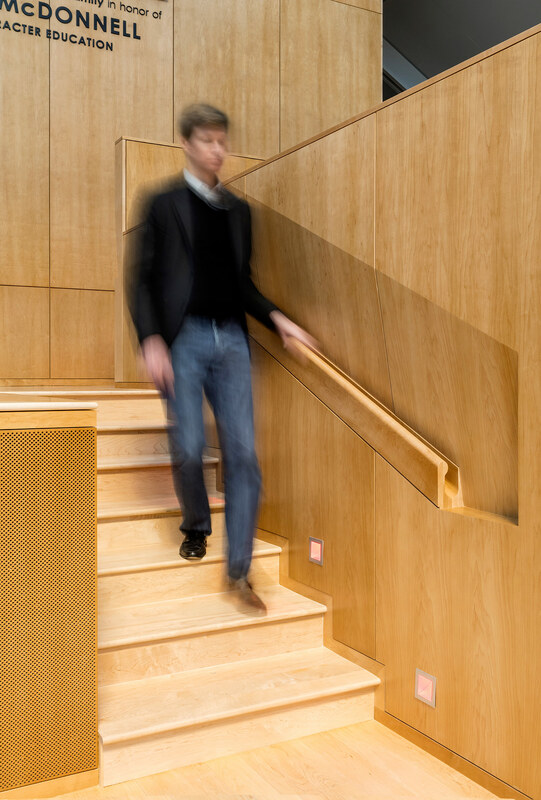 Keeping visitors physically engaged with the 6,000-square-foot is a staircase that bridges the timber and stone and runs up two the longer, street-facing edge of the warehouse. Light enters the stairway space through a glass ceiling and through the original windows, thus maintaining the more recent history of decay and abandonment. Meanwhile by the entrance, a retractable skylight will partially cover a double-height ground floor concourse. This area will be known as the "Great Hall." 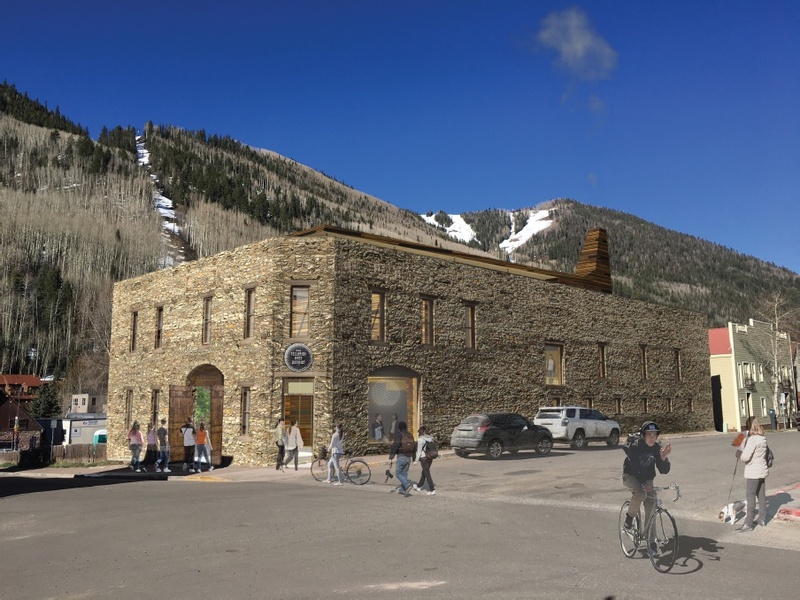 Moreover, programmatically, the Telluride Transfer Warehouse will also include a screening and music venue below; two levels of flexible exhibition spaces can be found as well. The rooftop will offer a cafe and bar along with views out across the mountainscape. 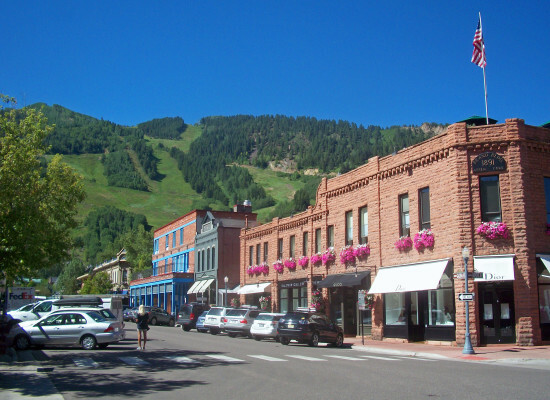 The building is sited in the the center of Telluride's arts district. “Key elements of the program include a Kunsthalle for exhibitions, flexible spaces that transform to host a multitude of events, and a small, museum-style bar/cafe that invites a constant flow of people and casual gatherings into a living-room atmosphere,” said the Telluride Artsorganization on their website. "Lewis.Tsurumaki.Lewis looks forward to working with and the community in the realization of this important structure in the heart of the historic town," the firm said in a press release. Construction is due to start in 2018. 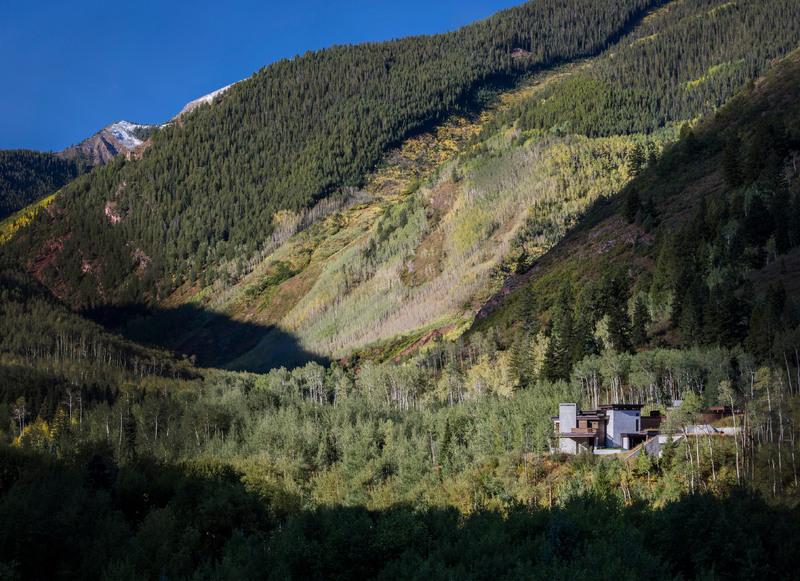 To learn more about the Telluride Transfer Warehouse visit the Telluride Arts website here. 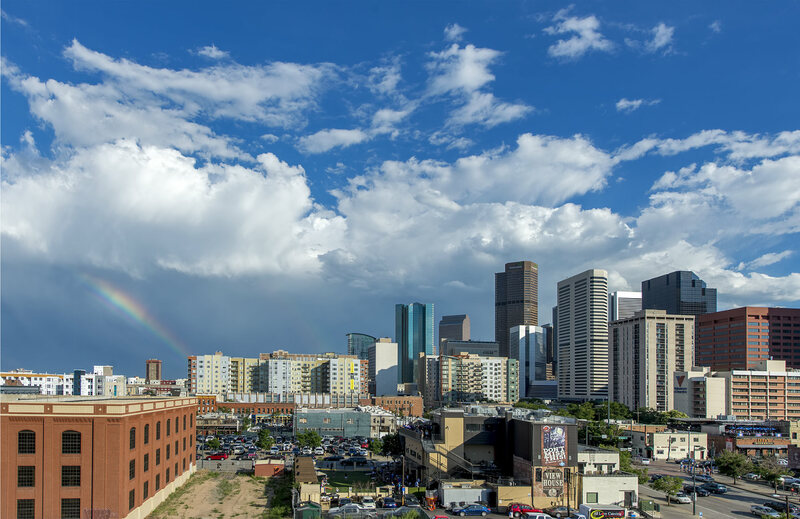 A new initiative by Colorado Governor John Hickenlooper seeks to divert $16.3 million in tax revenue generated from the state’s legal marijuana trade toward creating permanently affordable housing units for homeless individuals in the state. The Denver Post reports that the Governor’s plan would allocate $12.3 million in legal marijuana tax revenues to build 1,200 affordable housing units for chronically homeless individuals as well as 300 additional units for periodically homeless individuals over the next five years. Hickenlooper also proposes taking $4 million in funds to construct 354 assisted housing units that will be paired with behavioral health services facilities over the same time frame. The Governor’s budget proposal also features $2 million worth of incentives to generate 250 affordable housing units for senior citizens and individuals fighting displacement. The Denver Post also reports that Colorado has seen a six-percent increase in homelessness this year, bringing the state’s unhoused population to 10,000, according to the United States Department of Housing and Urban Development. Meanwhile, the state’s total supply of year-round beds allocated to serve this population numbers less than 7,000. Allocating tax revenues generated from the sales of legal marijuana toward housing services would require a change in the law which currently only allows for these funds to be spent on marijuana and addiction-related measures. It would introduce a new question to the legalized marijuana debate: If such revenues are no longer being spent directly on enforcement and substance abuse programs, then how might they be extended across various aspects of society? The budget proposals come amid an increasing belief among state officials, according to Hickenlooper, that homelessness and the state’s legal marijuana trade go hand-in-hand. Backers of this theory believe that easier access to marijuana can exacerbate substance abuse problems among the population at large. The Colorado Springs Gazette reports Hickenlooper as saying, "We're trying to make sure that the [marijuana] tax revenue is to a large extent, if we're going to build affordable housing, is for people that had a drug problem. We're trying to use the revenues for unintended consequences of drug use, especially legalization of marijuana." According to the governor’s budget office, state taxes on medical and recreational marijuana came to $134 million over the first nine months of 2016. Those funds are largely earmarked for enforcement, mental health, and substance abuse efforts in the state. The Center for Character and Leadership Development is a 46,000-square-foot education center located at a critical meeting point between the campus’s cadet and public areas. 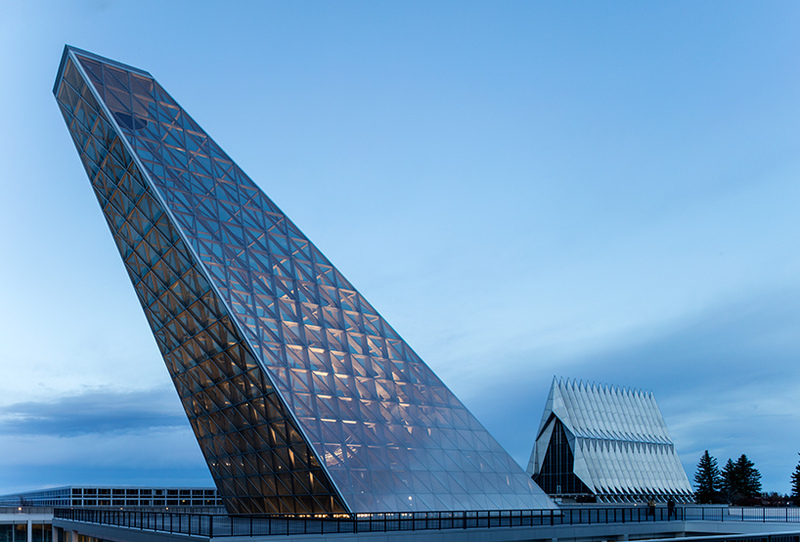 As an architectural focal point for the U.S. Air Force Academy’s campus—itself originally designed by SOM in 1954—the building’s dramatic 105-foot skylight aligns precisely with the North Star, creating a meaningful architectural interpretation of the Academy’s aspirations and guiding values. The Center contains a flexible gathering space for academic and social interaction; a series of collaboration, conference, and seminar rooms; offices; a library; and the Honor Board Room, where inquiries related to the Cadet Honor Code take place. Lighting Consultant Brandston Partnership, Inc. Architect: Allford Hall Monaghan Morris Location: Oklahoma City, OK This arched steel structure spans an existing unused concrete basement in northern Oklahoma City, dynamically transforming it into a sports and leisure hub that provides a wide variety of facilities, including two racquetball courts, a climbing wall, a basketball court, fitness studios, changing rooms, a cafe, and a running track. To approach an institution and campus like the United States Air Force Academy is to be awash in metaphors made concrete. The original campus by Walter Netsch of Skidmore, Owings & Merrill (SOM) was conceived as a theater of discipline in the rocky mesas above Colorado Springs. There, using a seven-foot grid module inspired by tatami mats, Netsch produced a thickened, rectilinear landscape punctuated by the virtuosic 1963 Cadet Chapel. Sited across the honor court, and just offset from the view corridor Netsch sought to maintain between the chapel and Creation Rock to the north, is the 105-foot glass and steel skylight of Polaris Hall, the new home of the Academy’s Center for Character and Leadership Development (CCLD) designed by SOM. Aligned toward the star for which the building is named, the protruding skylight works as a metaphorical moral compass, bridging that distant point with an oculus that pierces the ceiling of a maple-lined conference space that serves as the honor boardroom at the core of the building. Inside, seated beneath the room’s sole source of natural light, a cadet accused of violating the Academy’s honor code has the opportunity to present his or her case before peers and an administrative panel. It’s an intimidating spot to be sure, and the architecture effectively choreographs the personal and professional reckoning involved in the attainment of a rarefied quality such as character. The honor code’s unequivocal directive to not lie, steal, cheat, nor tolerate anyone among the ranks who does, is a revered source of solidarity that binds each successive wing of cadets to those of years past. Yet, after a number of ugly scandals shook the Academy and pitted the honor code against its de facto code of silence, officials decided that the moral compass of its institutional culture was in need of recalibration. While the CCLD dates back to 1993, plans for its first permanent home were not initiated until 2007 when a competition was held among three SOM offices. Roger Duffy and his team from New York came out on top. They, along with campus architect Duane Boyle, were hesitant to touch the landmarked site; however, the architects needed to make an unambiguous statement. What emerged is an artful study in conflict avoidance, restraint, and strategic power projection. In shaping what is arguably the most controversial component of the center, the architects carefully surveyed the proposed skylight’s relation to the chapel from many key vantage points—so as not to usurp the chapel’s prominence. Further, the designers eschewed the structural muscularity of the chapel in favor of a finely-finished, tapering, triangular truss system of architecturally exposed structural steel confined within a crisp glass enclosure that is fritted across much of its base to keep temperatures down in the forum below. The interplay of continuity and break unfolds throughout the building’s details. For example, custom handrails are molded into the wood panels in the forum, while blue Murano tile walls are assembled with almost archaeological precision to match those of the original academic buildings. The building itself plugs into the existing campus grid both in plan and section with an array of entrance points from two datums, as well as a hierarchical arrangement of spaces centered on a peninsula in a sunken courtyard that houses the forum and honor boardroom. Modeled in part after the atrium of the Kennedy School of Government at Harvard, the forum is a space both for formal presentations and informal meetings. Flanking it are two banks of glazed breakout rooms loaded with networking technology to facilitate collaborative work on case studies and problem-solving exercises in “applied ethics,” at times under the real-time digital supervision of observers in a media hub. Such networking capacity would not be out of place in a lab setting or business school, but to see it here in service of a humanist program suggests a growing convergence of disciplines under the aegis of performance—an ethos, however, not always compatible with character. While Netsch’s chapel compels belief through sheer thrust—not unlike the F-4D Phantom that now sits at one corner of the Spirit Hill lawn—the objective for the CCLD is at once more modest, but also more difficult: Character and leadership are qualities both achieved and tested against increasingly novel and intricate situations in combat, cyber security, and disaster relief, where faith alone is not actionable. Its overture of transparency is a clear gesture, but far from a hollow one in an ongoing process that aims to compensate for long-standing blind spots. With Polaris Hall, the Academy has gained a building that shares more with the coolly refined performance of the F-22 that may one day grace the Terrazzo or even with the remote reach of a Predator drone than with the blunt instrumentality of the Phantom. One can argue that such sophistication represents only an updated veneer rather than a shift in substance, yet the building suggests that qualities of surface and depth cannot be decoupled without posing serious risks. The mission may evolve, but it also stays the same. Here, SOM delivered an appropriate vehicle for a center tasked, in the ideal, with equipping cadets with the judgement to know how best to wield a level of power that few have ever possessed, and to recognize when to stand down. SOM's striking Center for Character & Leadership Development (CCLD), designed for the United States Air Force Academy in Colorado Springs, Colorado is officially open. 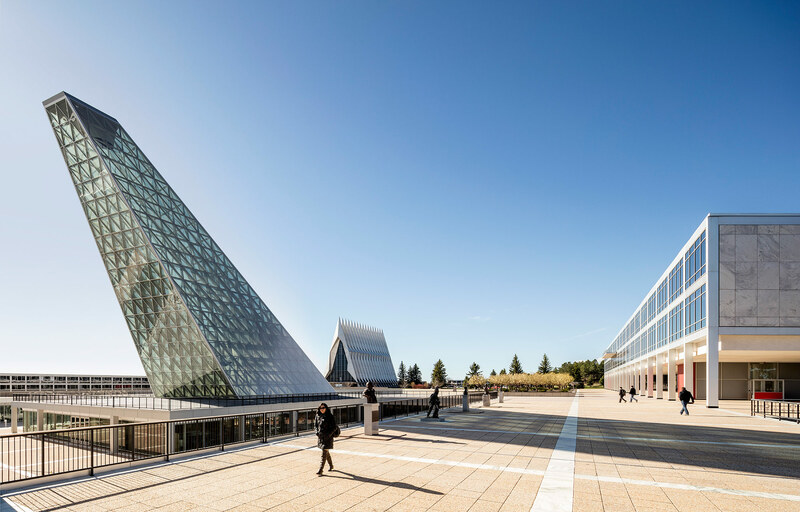 The focal point of the 46,000-square-foot education and research center is a massive skylight that resembles the tail fin of a plane. The CCLD's jaunty profile is intended to complement the academy's chapel across the quad. The structure hosts a library; forum; large flexible-use social space; conferences; offices; and the Honor Board Room, which sounds like Room 101 but is in fact where alleged violations of the Cadet Honor Code are heard and resolved. Inside the simple maple-clad room, cadets are bathed in light from the aperture above. It's a reunion building of sorts, as SOM designed the academy's campus in 1954. 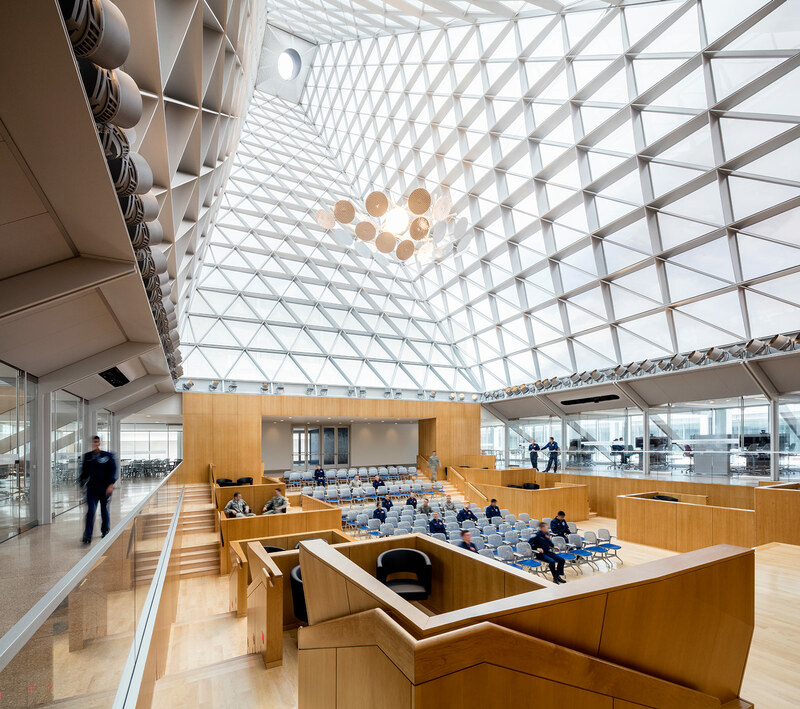 The 105-foot-tall skylight, constructed from diagonal steel plates arranged in a triangular grid, is aligned with the North Star, a nod to navigation heritage and the academy's founding principles. The skylight illuminates the forum, which is terraced to accommodate large crowds. Surrounding this central space are glazed meeting rooms that grab light from the main space. The building is designed to garner a LEED Silver rating, with radiant heating and cooling, a solar chimney within the skylight to channel hot air out, and an abundance of natural light from both the skylight and two courtyards that flank the structure. 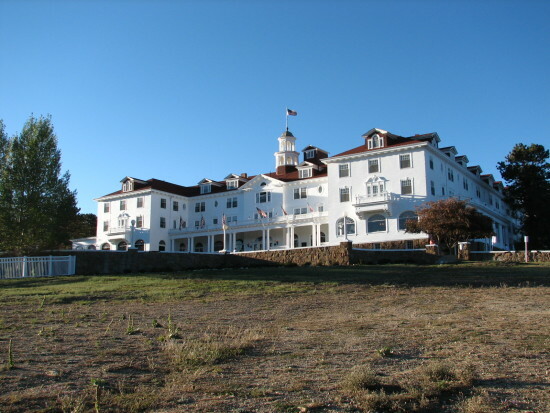 The Stanley Hotel, the Colorado inn that inspired Stephen King's horror book (later adapted into the film) The Shining has revealed plans to open a horror-based museum. Denver-based MOA Architecture will design the space, touted to cost $24 million, with backing from some of the biggest names in the horror genre. Featuring a horror film archive with both indoor and outdoor venues, the 43,000 square foot museum will also hold a film production studio with teaching spaces, a 3,000-square-foot soundstage, and a 500-seat auditorium. This isn't the first time the Stanley Hotel has openly used its horror pedigree as attraction. Earlier this year a competition was held for a 10,100-square-foot hedge maze that has now been built. Now, the hotel is running another competition for a sculptural intervention to accompany the maze. In case you're interested in a healthy dose of horror upon your stay, a discovery center within the modified hotel will showcase temporary exhibits with installations from popular horror shows and movies like the Walking Dead. The museum's board features a star-studded cast including actors Elijah Wood and Simon Pegg (known for their roles in Maniac and Shaun of the Dead), producer Daniel Noah, and distinguished horror director George A. Romero. "I would love to have a home we can come to year-round to celebrate the genre with other horror fans from around the world," Elijah Wood told ABC News. "There's really no better place for there to be a permanent home for this as an art form than the Stanley Hotel. It was practically built for it." To kickstart the project, other notable behind-the-scenes figures within the horror genre have made plans for exhibitions. Among them, artist of the Walking Dead comic book, Charlie Adlard; Rick Baker, a prominent makeup and special effects artist; and Clive Baker, a director and producer of notable horror films like Hellraiser and Candyman. Hoping to draw in horror fans from across the country, the hotel has made a bid for $11.5 million in film-center-generated state sales tax via the Colorado Regional Tourism Act. "The Stanley Film Center is my chance to give back to the millions of horror fans around the world who have supported Estes Park and the hotel for so many years," John Cullen, owner of the hotel, said. "At 109-years-old, the story of the Stanley Hotel is just beginning." Ultra efficient curtain wall system marries transparency and sustainability. For some institutions, building "sustainably" means doing the bare minimum—checking the boxes of government or in-house requirements and then moving on. Such was not the case at Colorado State University, where campus officials aspired to a higher standard for the new Suzanne and Walter Scott, Jr. Bioengineering Building. Though mandated by state law to achieve LEED Gold on new construction, the dean urged the architects—design architect RATIO Architects and architect of record Hord Coplan Macht (previously SLATERPAULL)—to aim for Platinum. At the same time, school authorities placed an extra emphasis on a tight envelope, having had difficulty maintaining pressurization in another recently-constructed facility. Thanks to a combination of an ultra-efficient curtain wall system, spray foam insulation, and exterior and interior sunshades, the designers exceeded the client's performance expectations without sacrificing the program's focus on visibility and connectivity. 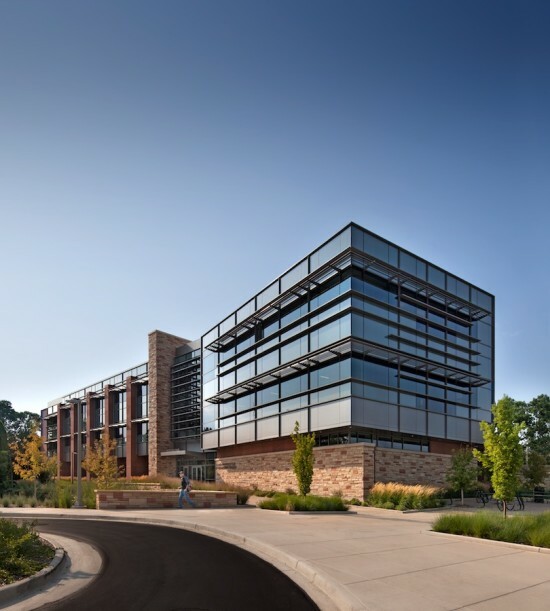 The ultimate goal of achieving LEED Platinum directly shaped the facade of the classroom and office building. "[The dean] wanted to get to Platinum," recalled Hord Coplan Macht's Jennifer Cordes. "We knew the only way to get there was if we had a significant building envelope designed to add photovoltaics." The PV panels themselves would have to wait, due to budget constraints. In the meantime, Hord Coplan Macht focused on two other challenges: the desire to prevent any loss of pressurization; and the need to rectify the design architect's vision of a glass box with the reality of the Colorado climate. "When we added these issues together, we had to get creative with the building envelope," said Cordes, who also acknowledged the role local municipal rebates played in incentivizing a high-performance design. The design concept for the Suzanne and Walter Scott, Jr. Building, said Cordes, "was to create the space in between. The space between the research laboratories and the student classrooms was really where the students were going to learn from the researchers." The architects arranged the labs along the north side of the building; faculty offices and teaching spaces line the south elevation. The programmatic separation allowed them to sequester the two components' mechanical systems—a boon to efficiency—and to carve the center of the building into a naturally-ventilated three-story atrium that is a perfect space for casual interactions among students, faculty, and staff. Elsewhere, the focus on connecting students with faculty and researchers is materialized in large expanses of glass. Hord Coplan Macht's principal challenge was to rectify the emphasis on transparency with the mandate to minimize thermal gain. "We started to look at the window to wall ratio," recalled Cordes. "Our first [number] was outrageous. [So we looked] at how we could insulate a curtain wall system and get an R-value of 20 even within that." The solution, which the architects developed in concert with Kawneer, involved back-panning, adding polyiso behind all the spandrel glass to effectively decrease the window to wall ratio. They then added a sheet metal back-panning system inside the curtain wall frame for vapor barrier, plus insulation and GWB. Large panes of stone backed with spray foam insulation provided additional energy savings. "Spray foam insulation is very cost-effective, and you get a high R-value per inch," explained Cordes. "It allowed us to get some significant walls into our system." On the vulnerable south facade, the architects deployed both external and internal sunshades. On the exterior, an integrated sunscreen helps cut back on solar gain. On the interior, the designers sloped the ceilings to help bounce light into the space. The internal light louvers they used, which Cordes compares to "good-looking mini blinds," are "pretty impressive and work really well," she said. The interior shading system "managed the glare and also increased the daylighting, pushing light deeper into the space." All of the exterior glass carries a low-e coating, but the architects chose a higher visibility glass for use on the south facade, to further enhance daylighting. Installing the thermally broken Kawneer 1600 curtain wall system proved trickier than Hord Coplan Macht had anticipated, said Cordes, in part because the contractors—working during the winter—installed the back panning from the inside out, rather than the reverse. But the extra coordination was well worth it, as the project's LEED scores and post-occupancy energy and water use data have demonstrated. "With the caveat that the building is being used a little more than was projected in the model, it's performing better" than expected, said Hord Coplan Macht's Ara Massey. "Per the facilities manager, it's one of the best performing buildings on campus." For Cordes, no reward could be greater. "I think the one [thing] we're most proud of is that it's performing so well," she said.